How anyone can possibly resist a bird that has been called Whiskey Jack is beyond my comprehension. 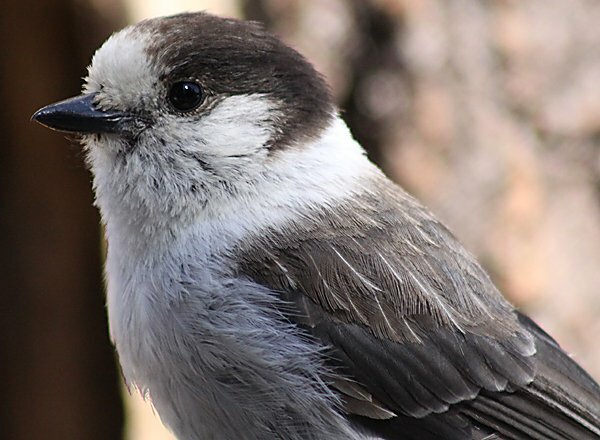 And Whiskey Jack is just one of the nicknames that has been applied to Perisoreus canadensis. Others include Camp Robber, Lumberjack, and Moose-Bird. 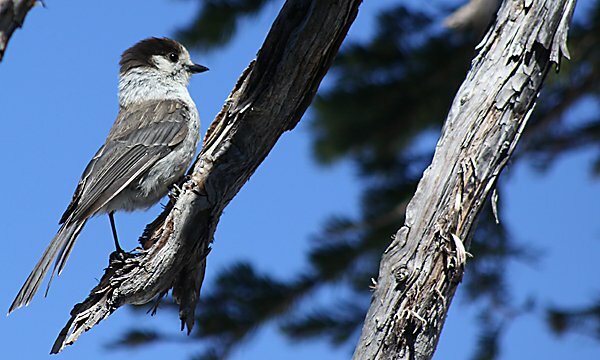 The bold gray-and-white birds know what humans are good for and that is as a source of food! 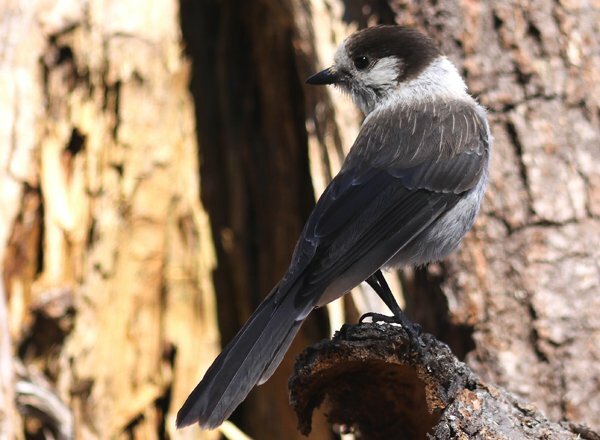 Gray Jays have long been more than willing to scarf down the offal that remains when hunters process a carcass so it is little wonder that they have adapted their foraging habits to include whatever scraps picnickers are willing to share. 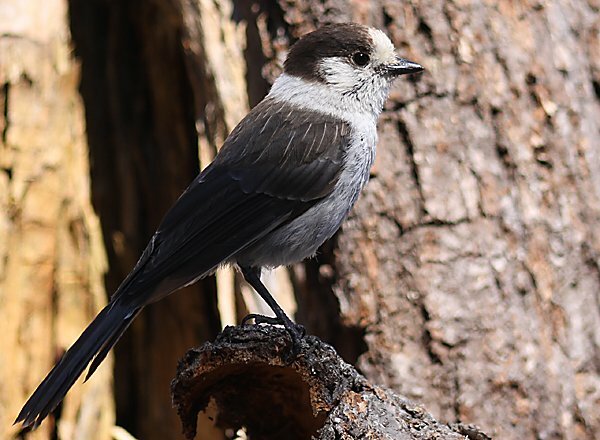 Gray Jays are resident in the boreal forest from Alaska south as far as northern California, and across Canada to Labrador, which might account for another of their monikers, Canada Jay. They are also found in the mountainous interior west as far south as Arizona and New Mexico, as well as in the far northern reaches of Minnesota, Wisconsin, Michigan, New York, and New England. 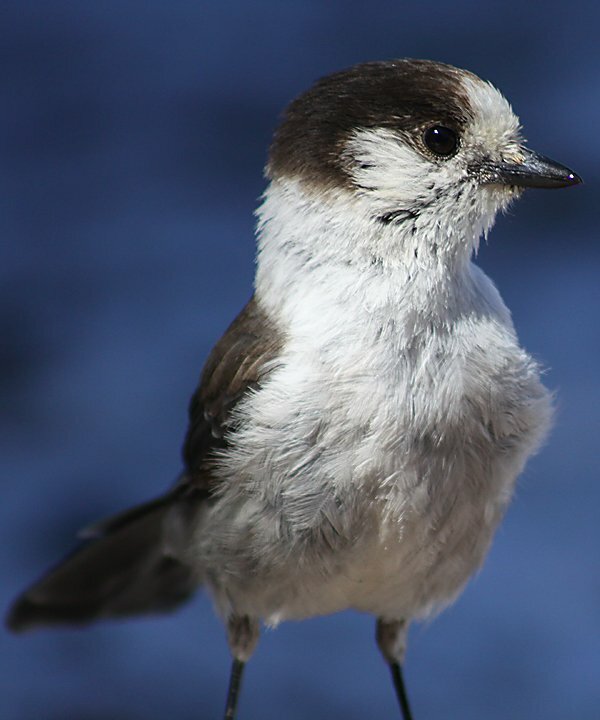 They are one of three species in the genus Perisoreus and the only found in North America (the others, Siberian Jay and Sichuan Jay, are found in Eurasia). There are at least eleven subspecies and the birds pictured here are all P. c. obscurus, which is found near the coast from Washington to northern California. 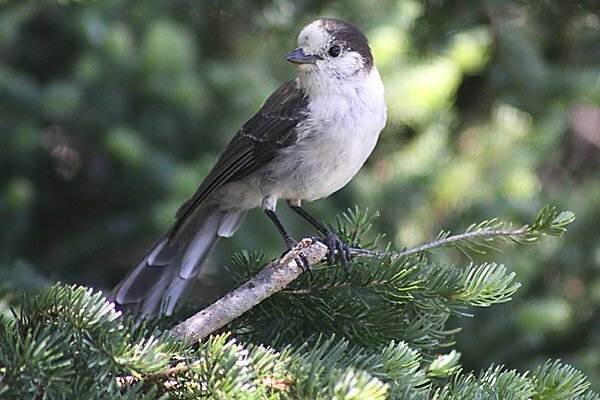 Gray Jay is considered a Species of Least Concern by BirdLife International because of its large range and large and stable population. This is, of course, great news to those who like personable corvids but bad news for those who want to keep every bit of every granola bar for themselves. I think we all know in which group I belong. All of these images were taken in Washington’s Olympic National Park in the vicinity of the Hurricane Ridge Visitor Center. 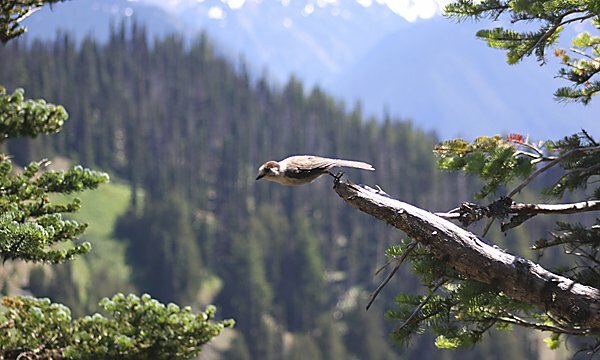 I highly recommend a visit for the Gray Jays and a host of other reasons. Enjoy! Awesome! I love those birds. Thanks, all. And, yeah, planking!